ZTE has earlier launched a new 4G LTE supported router, that is known as MF91. 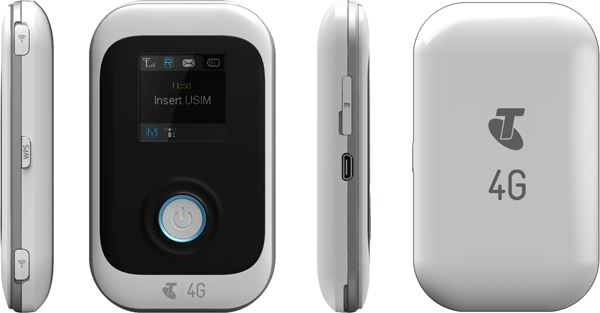 It is available in Australia through Telstra carrier and calls it MF91T. 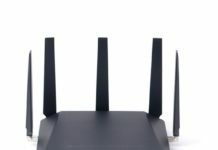 It is the next generation mobile Wi-Fi router that connects up to 10 Wi-Fi-enabled devices in the 4G network with 4G speeds up to 40Mbps, typical download speeds of 20Mbps. It supports dual band LTE, quad-band GSM, and tri-band UMTS. It has also a microSD card slot, that supports up to 32GB external storage. Unlocked MF91 costs around 300USD in the market. MF91 (MF91T) packs a 2300 mAh battery that operates up to six hours. It has a 1.4 inch OLED screen to display network signal intensity, cell capacity, network SSID and other information. The device can be managed via WebGUI interface technology, enabling rapid remote configuration using standard web browsers. MF91 is available in Angola by Movicel, UAE by Du, and in Australia by Telstra network. The ZTE MF91 is built of Qualcomm MDM9200 chipset that supports TD-LTE category 3 2300Mhz/2600MHz bands. It can download a file with up to 100Mbps and upload speed limit is up to 50Mbps. It can be operated on Windows XP, Windows 7 and Vista in addition to Mac OS X 10.5.8 (and later versions). How to Unlock ZTE MF91 (MF91T)? 1. Switch off the MF91 (MF91T). 2. Change the default SIM card with any other network provider.Connect to PC with USB cable. 6. It will redirect you to the unlocking page. 7. The device will ask you 16-digit / character NCK code. 8. Enter here correct SIMlock code and click Apply. 9. Now your device is unlocked forever to use it with any network provider. Note: Don’t use any free or wrong codes into MF91 (MF91T), otherwise, it will be locked permanently. I can provide the ZTE factory unlock code. Once paid, correct NCK will be delivered by email. Next articleHow to Unlock Alcatel L855?